(b) being a person other than a company or a firm if his total income or the total income of any other person in respect of which he is assessable under this Act during the previous year exceeded the maximum amount which is not chargeable to income-tax, shall file a return of his income in the prescribed form. 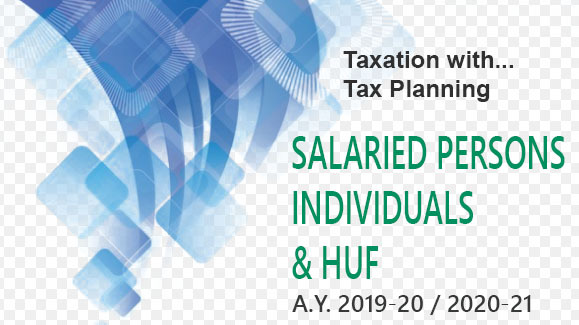 Every individual, H.U.F, AOP or B.O.I or an artificial judicial person shall file his income tax return, if the total income before giving effects to the provisions of sections bA, 10B & 10BA and chapter VI-A i.e. 80HH to 80RRE in the relevant assessment year, exceeds the maximum amount not chargeable to tax. A person, being a resident, who is not required to furnish a return under this sub-section and who during the previous year has any asset (including any financial interest in any entity) located outside India or signing authority in any account located outside India, has claimed shall furnish, on or before the due date; has claimed any relief of tax u/s. 90 or 90A or deduction of tax u/s-91; or has income not chargeable to tax, exceeding five thousand rupees;1 a return in respect of his income or loss for the previous year in such form and verified in such manner and setting forth such other particulars as may be prescribed.